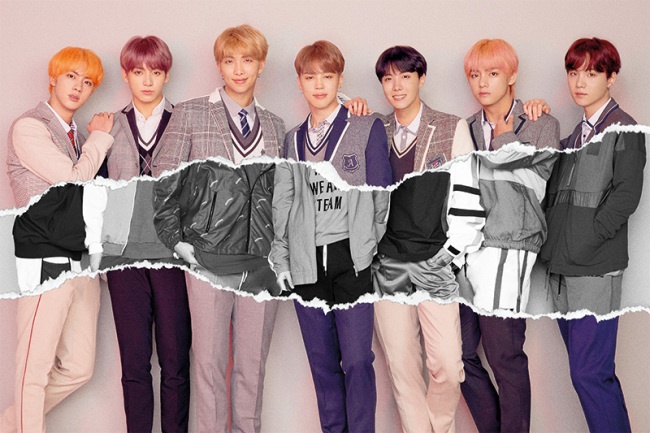 On Monday morning, many Koreans woke up to the news that K-pop boy band BTS clinched a second victory on the Billboard's main albums chart. It's been only three months since the group dominated the same Billboard 200 albums chart with the second of its "Love Yourself" trilogy, becoming the first K-pop act to be victorious on the American main music chart. BTS is not just a K-pop sensation now, it has become an important player in the global music industry. The Korean septet rewrote pop history by winning the title twice in a year, an achievement that only the British-Irish band One Direction pulled off a few years ago. Given BTS' songs are performed mostly in Korean, it is undeniably an astonishing feat. Many Koreans, let alone its fans, hope the seven young men's flourishing music careers continue as long as possible --- before each one of them puts it on hold in order to fulfill their mandatory military service, that is. All able-bodied South Korean men must serve for approximately two years in the military to maintain combat readiness as South and North Korea are still technically at war after the 1950-1953 Korean War ended in an armistice. The painful reality with the service for many Korean artists, entertainers and sports stars is that the duty, which is completed mostly in their 20s, disrupts their careers, often cutting short their prime times. In July, a lawmaker raised the issue during a committee meeting at the National Assembly about the fairness of the current conscription system in which sports stars and classical musicians get exemptions from the duty when they meet certain criteria, while pop culture artists are all but excluded. At the National Defense Committee meeting on July 25, Ha Tae-kyung of the minor opposition Bareunmirae Party said the existing law on military service exemption -- which was first drafted in 1973 -- failed to properly mirror the Korean society of today. According to the relevant law, last updated in January 2015, an athlete who wins gold, silver or bronze at an Olympic Games and gold at an Asian Games is exempt from the service. Others are classical music and dance contests, including the International Franz Liszt Piano Competition, the Carl Nielsen International Music Competition, the Helsinki International Ballet Competition and the Seoul International Dance Competition. All together, the list includes 29 global classical music competitions, 12 global ballet and dance ones, and seven Korean traditional music and art competitions. As of May, 449 people had benefited from the exemption law for their contributions to raising the national image on a global stage and enriching the culture and sports sectors. Notable, as lawmaker Ha pointed out, is that the contemporary pop industry and other art fields, such as films, are missing from the list. "The general public, including young people, wonder what makes winning on the Billboard chart different from winning in other international competitions? Winning the former is likely to create bigger added value. But there is no mention of popular culture on the list," Ha said. 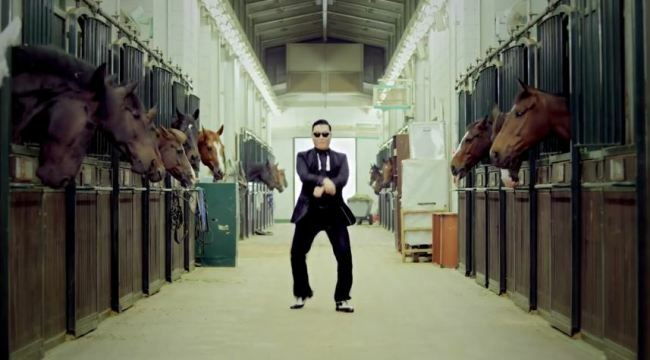 "For example, Psy broke the world record with YouTube video hits, which is extremely difficult to achieve. It is the world's No. 1 and has huge influence over people around the world," he continued. "Of course, I am not underestimating international classical music competitions. But they are very specific and special areas. Many fields that inspire more of the general public are conspicuously absent from the list." Ha wrapped up his speech by emphasizing an urgent need for modernizing the list to better reflect reality in the rapidly changing society. His remarks have touched off intense public discussions on the sensitive topic that affects all Korean men. "I absolutely agree with Mr. Ha's opinion, in that it is one of those problems arising from many outdated laws that are out of sync with the lives of the present day," said Lee Seung-hee, who works at a big game company in Seoul. But the problem is how to set the criteria and standards for military service exemptions right that everyone can agree with, she said. "If enhancing Korea's national image is the main reason for exemptions, it can be too subjective. If yes to Billboard, then what about other music charts, say, of the UK or Japan? How about B-boying competitions? What about web comics artists or popular YouTube creators?" On Saturday night, all eyes fell on the football final between South Korea and Japan at the 2018 Asian Games. 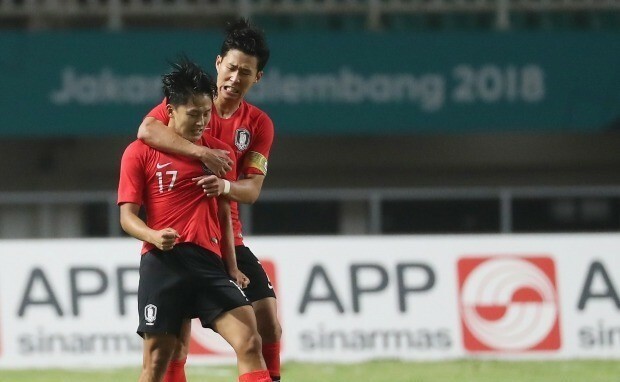 Setting aside the symbolic meaning for Koreans to beat its historic rival Japan, the match took extra significance for Korean football fans as it was a critical game for the 26-year-old beloved star Son Heung-min, the Tottenham Hottspur forward, to avoid compulsory military service that the star had been postponing to focus on his career. When Korea defeated Japan 2-1 in overtime, Kim Teun-teun, a research professor at Sungkyunkwan University, wrote on his Facebook page, "Wow!! Our Son doesn't need to go to the army!!!" The professor, once a research fellow at University of Birmingham, talked to Yonhap News Agency that while he agreed with the need for expanding the relevant law to cover more talents in wider areas, "There should be crystal-clear standards and a national consensus on the matter," he said. Equally important is, he noted, that, "The age limit to which military duty can be postponed should be revised too" to better accommodate different needs in different industries. Generally, one can delay the compulsory service until as late as 28 years old for various reasons, including earning master's or doctor's degrees, or due to sickness. The Korean team's victory was not only hailed by football fans but also noted by many global media. BBC reported the victory "ensured an end to the uncertainty surrounding a player Tottenham bought for about 22 million pounds and who signed a new five-year contract in July." The public has had a mixed response on the subject. According to a recent survey done by the Seoul-based research company Realmeter, 47.6 percent of the 500 respondents agreed with expanding military service exemptions for sports stars, while 43.9 percent disagreed, calling it an "excessive favor." "I think we'd better get rid of them all. When military duty can be avoided as a reward, the underlying assumption is that serving in the military is a bad thing," said Lee Sung-kyu, an office worker in his early 30s. "BTS doesn't do their singing career for the country. Likewise, I did my best to make my clothing business successful in China for myself, not for the country," said Choi, who lived and ran the business in Guangzhou in China for five years before returning to Korea.